The gist: Leaving the courthouse Wednesday, the consensus among observers was that former Knight Oil Tools CEO Mark Knight would trade in his affluent lifestyle for the confines of the Lafayette Parish Correctional Center. But there’s a catch. If Knight qualifies for the sheriff’s Alternative Sentencing Program, he’s likely to return to the comforts of his luxurious home with an ankle monitor after reporting to the jail on Feb. 15 to begin his sentence. 15th Judicial District Judge David Smith sentenced the wealthy businessman to a year in the parish jail on a corrupt influence conviction for the critical role he played in the 2014 conspiracy to plant illegal drugs on his brother, Bryan, and have him arrested in an ill-fated attempt to wrestle control of the family company. In August, Mark Knight, 61, pleaded no contest (which has the same implications of a guilty plea) to public bribery and corrupt influence. On the former, he was sentenced Wednesday to four years hard labor, suspended, three years of active supervised probation, a $1,000 fine, court costs and 300 hours of community service. He also must forfeit $87,000, the amount prosecutors say he paid to his three co-conspirators — then-Knight Oil employee Russell Manuel, former Lafayette Parish Sheriff’s Deputy Jason Kinch and former State Trooper Corey Jackson. Manuel, Kinch and Jackson pleaded guilty. Manuel got no jail time, and Kinch was sentenced Wednesday to three years hard labor, suspended, two years of active supervised probation, a $500 fine, 150 hours of community service and court costs for public bribery. He got a year of home incarceration for corrupt influence. In early December, a prescient Kinch boasted to a sheriff’s deputy that he would only get probation, saying a deal had “already been worked out,” according to a media source who overheard the conversation. Jackson will be sentenced in April. 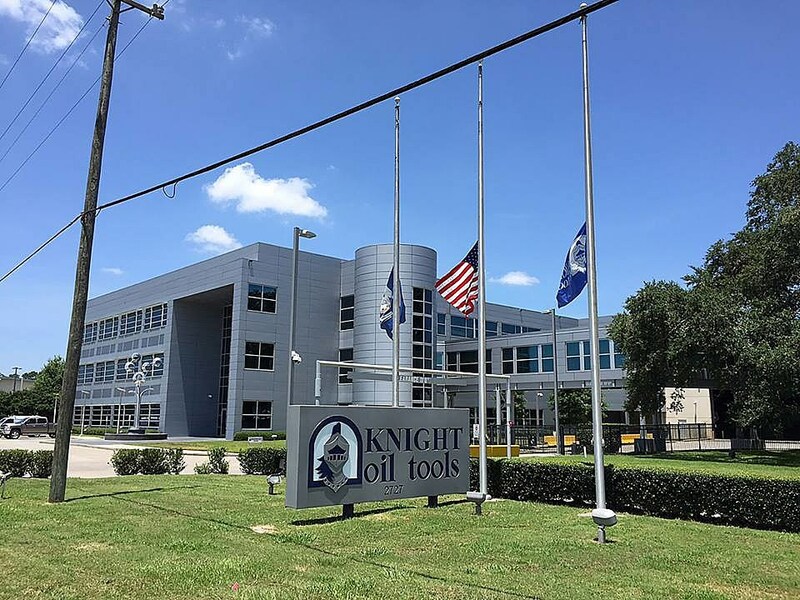 Wednesday’s sentencing brings closure to the years-long saga that has forever tainted the Knight legacy and hastened the downfall of one of Acadiana’s largest privately held companies. Had Mark’s case gone to trial, Assistant District Attorney Alan Haney promised to introduce evidence from a March 2015 Knight Oil Tools internal investigation showing that Mark laundered money, used corporate funds for personal expenses and stole $2.4 million from the company through the sale of scrap pipe and tubing. Haney implored the judge to put both Knight and Kinch behind bars, arguing this specific crime was a distortion of the entire criminal justice system because it manipulated police officers who arrested Bryan, and then attempted to hoodwink prosecutors and the courts to convict him. “It calls into question everything we do,” the prosecutor told the judge. “Anything less than jail time is not appropriate,” Haney said, making special note of federal judges who have been sentencing to more than a year in jail first offenders who violated the public trust, specifically naming Barna Haynes, who used to work in the district attorney's office. “Everyone is watching,” Haney emphasized. Judge Smith spoke of the numerous letters that had been written to the court on Mark’s behalf, including one from his victim, Bryan. Bryan’s letter will remain under seal, Smith noted. What has not been previously reported is the extent to which the lead investigator believed much of the Knight family was involved in the scheme to clear Bryan out of Mark’s way. The 32-page arrest affidavit for Russell Manuel, written by then-Lafayette Parish Sheriff’s Captain Kip Judice and obtained by The Current, includes shocking accusations by Manuel that numerous family members were aware of the plan to set Bryan up, though the extent of their alleged involvement remains unknown. After the verdict. A stoic Mark Knight ignored this reporter’s questions. His attorney, Skinner, called Manuel’s allegations of family involvement “ridiculous.” Skinner declined any additional comment, citing the ongoing civil suit filed in federal court by Bryan Knight against his brother, Manuel and the two former law enforcement officers. District Attorney Keith Stutes declined to comment on Manuel’s claims of family involvement.